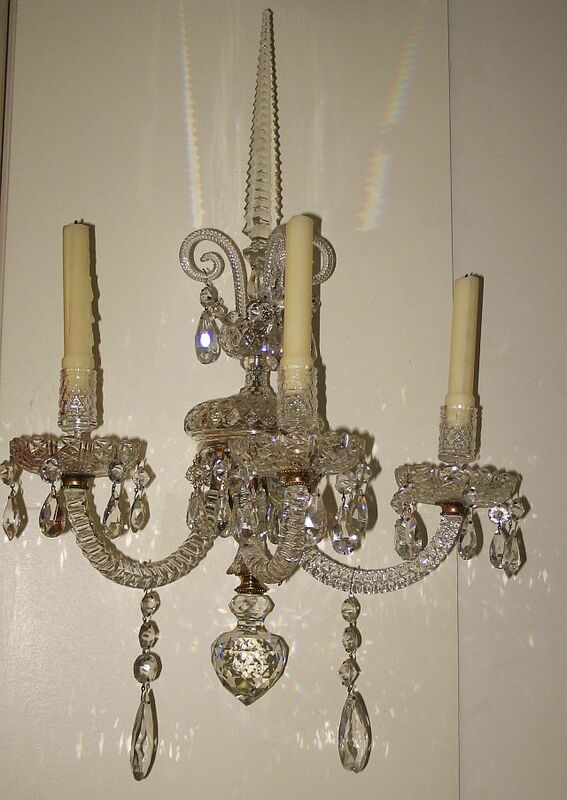 English crystal sconce with gilt bronze wall frame. Finely cut crystal arms, candle caps, swags, drops and spire. Repairs.